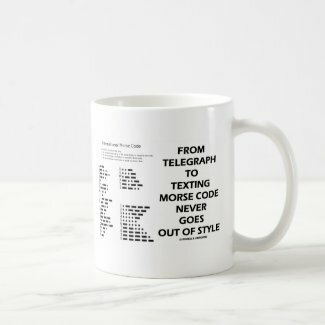 Are your familiar with Morse code? 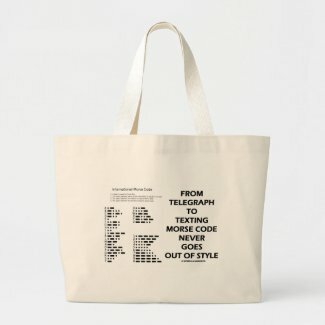 Make others do a double-take with any of these educational gifts featuring the International Morse Code, along with the truism saying "From Telegraph To Texting Morse Code Never Goes Out Of Style". 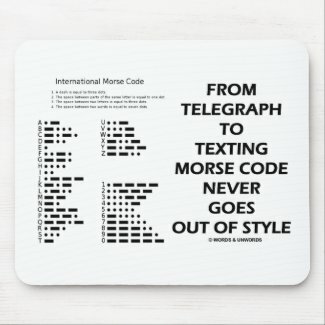 As you probably know, Morse code uses a standardized sequence of short and long elements to represent the letters, numerals, punctuation and special characters of a given message. The short and long elements can be formed by sounds, marks, or pulses, in on off keying and are commonly known as "dots" and "dashes" or "dits" and "dahs". 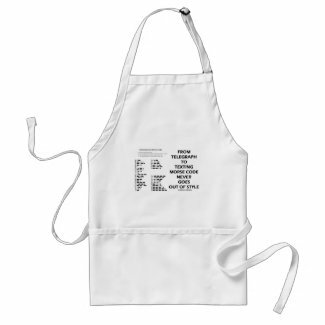 No need to be a pilot or amateur radio operator to enjoy timeless communication fun from the 19th century! 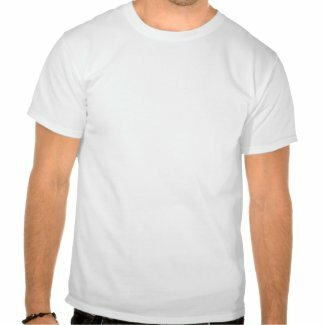 Design your own t-shirt online at Zazzle.